Hello! Thank you for subscribing to my E-newsletter. I am honored to serve the 23rd Senate District and look forward to working with you toward building a better future for Pennsylvania! This E-newsletter serves to keep you updated on what is happening throughout Bradford, Lycoming, Sullivan, Susquehanna and Union counties and what I am doing as your state senator in Harrisburg. I hope that you will find this E-newsletter helpful, and if you have any questions or concerns, please feel free to contact me. 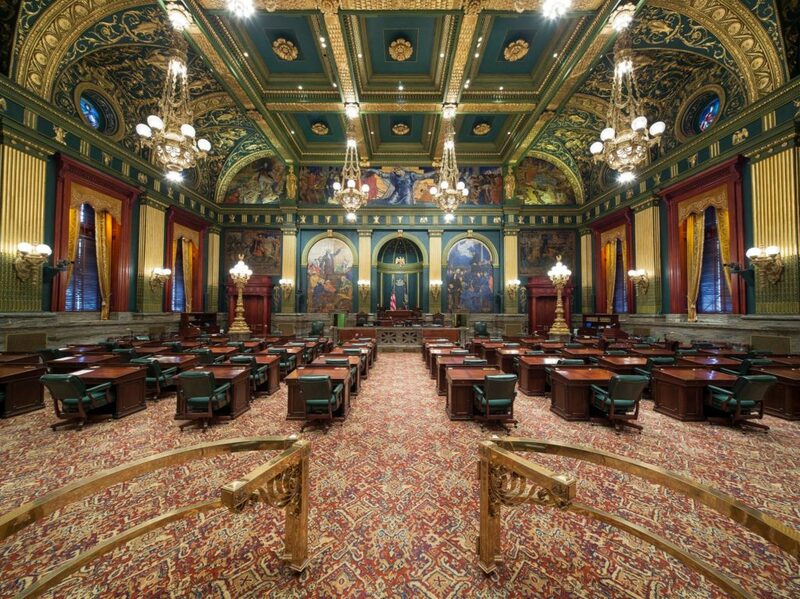 The state Senate’s Legislative Calendar is updated each day the Senate is in Session. The calendar identifies bills and resolutions awaiting Senate floor actions. Monday, January 28th kicks off the start of the 2019-2020 Legislative Session. To preview the meetings and hearings, visit online. Should you have a question or concern with a particular piece of legislation, do not hesitate to contact my office. Earlier today, Pennsylvania Senate President Pro Tempore Joseph Scarnati (R-25) reappointed me to serve on five (5) Senate Standing Committees for the 2019-2020 Legislative Session. In addition to serving as Chairman of the Senate Environmental Resources and Energy Committee, I have been asked to continue serving on the Senate Appropriations, Agriculture and Rural Affairs, Banking and Insurance, Judiciary and Law and Justice Committees. Each of these committees plays an instrumental role in vetting legislation that will benefit our citizens, particularly those living in the 23rd Senate District. The committee process is extremely important for producing sound public policy, and I appreciate Sen. Scarnati’s support and confidence in me. I look forward to working with my colleagues in the legislature this session. The contractor, Trumbull Corporation, will continue work on the CSVT river bridge. 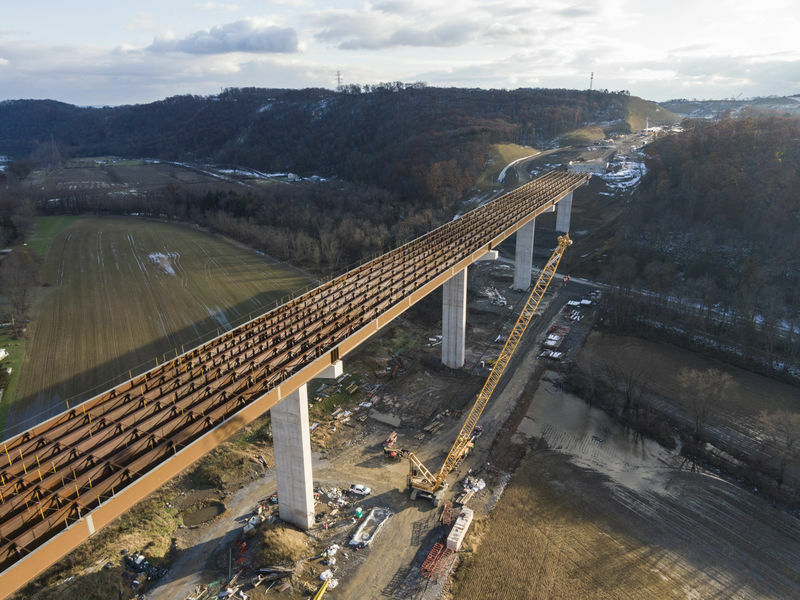 Girders for spans 1 through 8 have been set. Substructure work is in various stages on piers on the western portion of the bridge. Equipment will be working adjacent to Route 147. There will be periodic lane closures under flagging through the winter. The contractor, New Enterprise Stone & Lime Co., Inc., has shut down operations for the winter. Work will resume in the spring. For more information on the CSVT project, please visit www.csvt.com. Record breaker….Yesterday, the Independent Fiscal Office estimated that Act 13 natural gas drilling impact fee(s) will have generated $247 million from fees imposed in 2018, a $37.4 million increase from 2017 fees. This money represents the most revenue collected in one year under the fee since 2012. Funds will be dispersed to counties/municipalities by July 1, 2019. Total natural gas impact fees have now surpassed $1.7 billion since 2012. The application period is open for the Property Tax/Rent Rebate Program for income-eligible and citizens with disabilities to receive rebates on property taxes or rent paid in 2018. Applicants may obtain claim forms and related information at my Williamsport District Office, 175 Pine Street, Suite 105, Williamsport, PA 17701, by calling 1-800-443-5772. Businesses, nonprofits, schools and local governments can apply now for emissions-reduction state grants to replace, re-power, or retrofit fleet diesel-powered trucks, buses, and other vehicles and equipment. Deadline is Feb. 28. For more information, click here. DCNR’s Bureau of Recreation and Conservation has available grant funding for projects proposing land acquisition, planning, development, rehabilitation, maintenance, equipment purchase or educational programs for all-terrain vehicle (ATV) or snowmobile trails. Applicants can apply for this funding between February 1, 2019, and March 29, 2019, by means of the Department’s online grant application portal. A brief recorded webinar on the ATV and snowmobile grant program is available on the Department’s web site. For more information, click here. The Pennsylvania Department of Transportation is seeking hardworking college students for employment from early April through October for the 2019 Summer Maintenance Program. Pay is $13.56 an hour and deadline to apply is Feb. 15. For more information, click here. I recently joined Instructor Roy Klinger at the Penn College Auto Restoration Department in Williamsport. 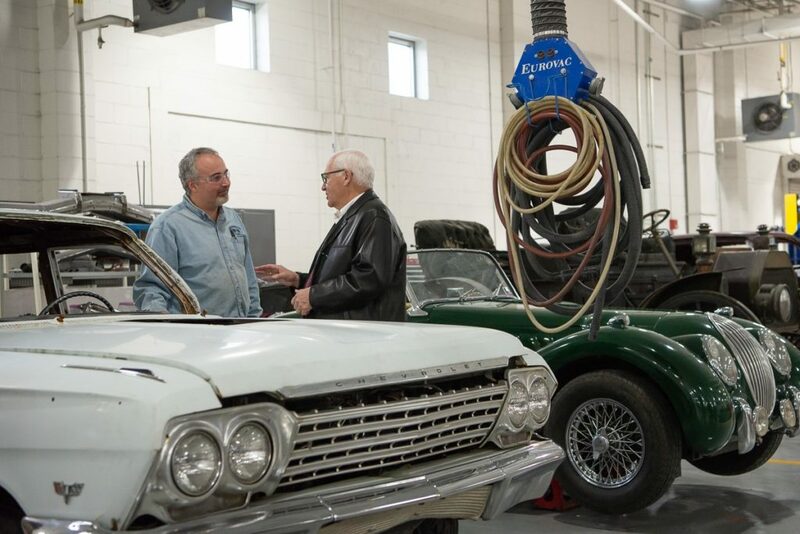 Building on its heritage as the oldest, continuously operating automotive program in the nation, Pennsylvania College of Technology is now offering the only college-level vintage vehicle restoration degree on the East Coast.